In the final weekend of the regular season, conference titles are up for grabs in several leagues, and the Ivy League could put the first team in the NCAA tournament. Are we on the verge of witnessing a Skal Labissiere renaissance? The freshman center started in Kentucky’s 88–79 win at Florida Tuesday night, and he responded 11 points and eight rebounds in 15 minutes. Of course, he also committed four fouls, so perhaps we shouldn’t get too excited. This game may represent LSU’s last hope for an NCAA tournament bid, but it is also a chance for Kentucky to earn a share of the SEC regular season title. That’s plenty enough incentive. Baylor played in one of the wildest games of the season Tuesday night, rallying from 26 points down at Oklahoma before losing by two. The Bears will need to avoid another big deficit, and against West Virginia that means taking care of the ball. When West Virginia won the first meeting in Morgantown, Baylor only committed 10 turnovers, but the Bears did not show up defensively and allowed West Virginia to shoot 49%. If they tighten that up and make a few shots, they should be able to take care of business. The Jayhawks obliterated Texas in Austin on Monday night, so much so that I’m starting to wonder if this team isn’t peaking too soon. Junior guard Wayne Selden’s absence of an outside touch has been a concern the last few weeks, but besides that Kansas has been at optimum performance. It’s hard to envision the Cyclones, with their suspect defense and thin bench, winning in Allen Fieldhouse. The young Trojans have hit a wall down the stretch, but they managed to break a three-game losing streak on Wednesday against Oregon State to secure their first 20-win season since 2009. 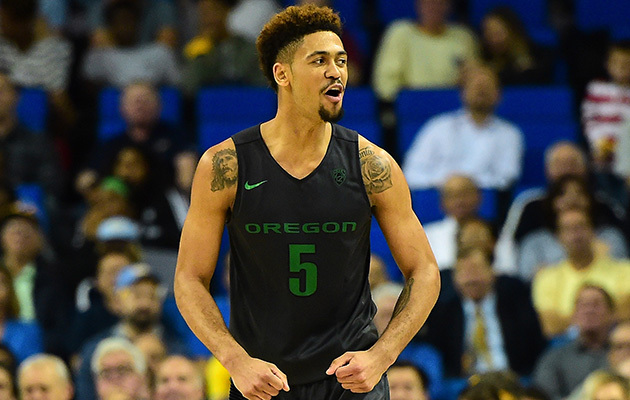 The Ducks, however, have a chance to win the Pac-12 outright, and they have a surging star in freshman guard Tyler Dorsey, who scored 20 points Wednesday night’s win at UCLA. The Blue Devils have tired legs and tired brains right now, but I like their chances to find their energy in this one. It’s senior big man Marshall Plumlee’s last game in Cameron Indoor Stadium, and the players love those friendly rims. Moreover, even though North Carolina has been playing well since coughing up a late lead in the first meeting, the Tar Heels are still hurt by inconsistent guard play. UNC senior guard Marcus Paige made a fantastic speech on Senior Day following Monday’s win over Syracuse, but that masked yet another poor shooting performance (2 for 10, 1 for 7 from three). Yale barely missed out last year on its first NCAA tournament bid since 1962, but a win here (and over Cornell Friday night) would put the Bulldogs in position to represent the Ivy in the tourney—that is, if Princeton, which is tied with Yale in the loss column, is unable to win its final three games. Yale has the best player in the Ivy League in 6'8" senior forward Justin Sears, who ranks fourth in the league in scoring (16.7), fifth in rebounding (7.4), second in blocks (1.8) and fifth in field-goal percentage (.534). The team is dealing with a controversy surrounding the sudden departure of team captain Jack Montague a month ago, but with the NCAA tournament on the line, it should be able to secure the victory. Some teams just match up well with others. The Cavaliers can be a little soft inside, but they are as good as it gets when it comes to defending the perimeter. That’s why they throttled Louisville on Jan. 30 by 16 points at the KFC Yum! Center. The Cardinals had all of 14 points at halftime of that one. They should be more competitive the second time around, but it’s hard to imagine Louisville being able to win in Charlottesville. Cincinnati played without two injured players on Thursday night, and it showed as the Bearcats were outclassed by Houston. SMU, meanwhile, scored an emotional win at home over UConn in the final home game for the team’s core of seniors who have been denied the chance to play in the NCAA tournament. 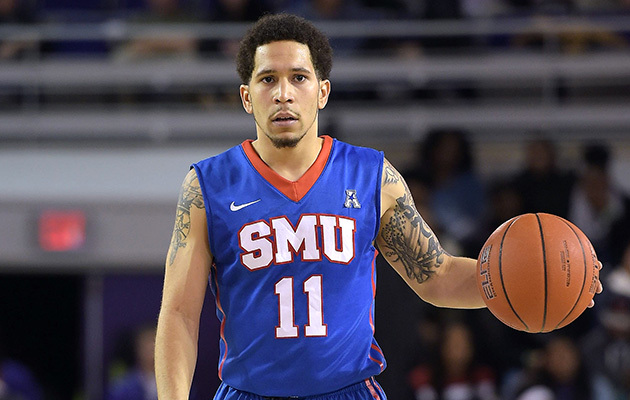 So if you follow the swinging pendulum, SMU is due for a comedown, and Cincinnati is playing for the chance to cement an NCAA tournament bid. I spy a desperate home team. The Terrapins have shown a maddening tendency to play to the level of their competition, but they took care of business Thursday night when they drubbed Illinois by 26 points. Even better is sophomore guard Melo Trimble’s 7-for-14 shooting performance (to go along with eight rebounds, five assists and two steals). Even though the Hoosiers have already wrapped up the outright Big Ten regular season crown, they are nearly impossible to beat at Assembly Hall, and they will want to make sure they send senior guard Yogi Ferrell out as a winner.